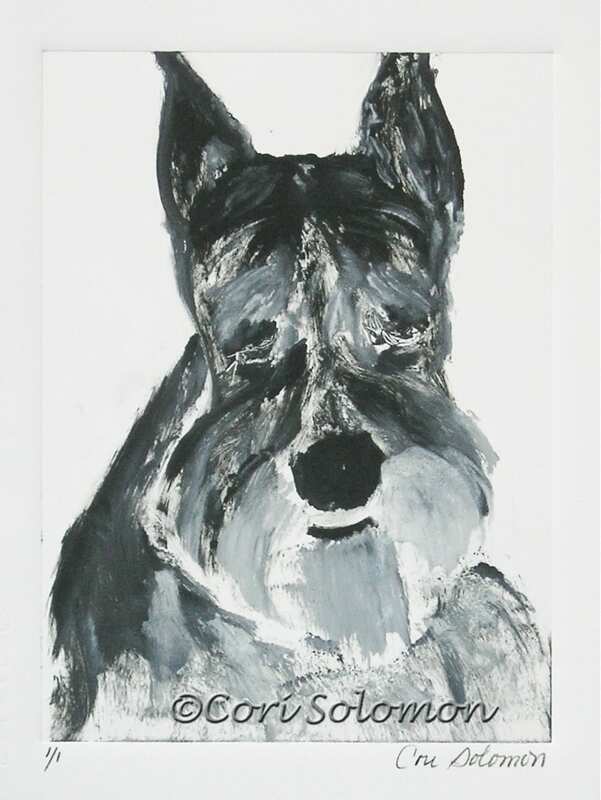 This Monochromatic Monotype of a Schnauzer is created in an abstract manner. This artwork comes matted. To purchase this Schnauzer hand pulled print email Cori.